Why is pewter great for tankards? Many of the cups in our collection are made from pewter. Pewter is a metal alloy mostly made from tin, with the remainder usually a mixture of copper, antimony, bismuth, and (sometimes) silver. Historically lead was used but nowadays that’s not considered a good idea (actually lead is illegal in drinkware sold in the USA). Tin is an amazing metal in lots of ways, and is the fourth most expensive precious metal in common use after platinum, gold, and silver. It can be worked in a lot of ways and you can get a variety of really attractive finishes. But the trouble is that it’s quite soft in its pure form and wouldn’t make a great cup. That’s where pewter comes in. Mix small amounts of copper and antimony into the tin and it gets much stronger and more durable, and becomes a very practical material for drinkware. 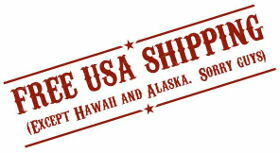 All of our pewter is completely lead-free, and sourced from highly reputable suppliers in western countries. 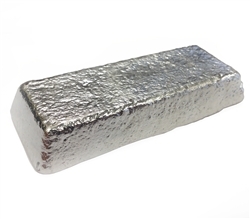 All of our pewter is at least 92% tin, with the remainder being about 0.5% copper and about 7.5% antimony. Modern pewter from a western country is safe. Don’t just take our word for it. The FDA has regulations for ‘food contact surfaces’ (and seemingly everything else) and has nothing to object to in modern pewter. The FDA is ok with pewter containing less than 0.05% lead (our pewter is lead-free), see FDA regulation 4-101.13(B). Let’s look at the three metals that go into pewter individually. After all, treat your pewter tankard properly and it will last for many many years, but in the unlikely event that it did dissolve into your beer in large enough quantities (it won’t), it’s the tin, copper, and antimony that you would swallow with your beer. Tin. Tin has been used for food and drink containers for centuries. Since 1812 it has been used to coat the inside of steel cans for food storage (there are often other coatings used nowadays), and that’s because tin has to be in contact with food for a LONG time before the food becomes dangerous. Unless you leave your beer in your tankard for a few weeks before drinking it you shouldn’t have any trouble (and the beer will taste bad by then anyway whatever cup it’s in). In addition, tin has no known role in the bodies of humans or animals, and isn’t easily absorbed. Copper. Your body needs copper – it’s one of over 20 dietary minerals necessary to human life. The human body is also capable of getting rid of moderate excess copper, when necessary. However, the main point to make about copper is that your beer (almost certainly) came into contact with a lot more copper during the brewing process than it will in your tankard. Antimony.Antimony is not harmful as a metal, and is resistant to attack by acids. It’s not great to inhale (few metals are), but we don’t recommend you do that anyway. Note that antique pewter or, occasionally cheaper eastern pewter, may contain lead. This tends to discolor over time to a grey-blue color. Over time drinking from a tankard made of leaded pewter can be very bad for your health, and we agree with the FDA that this is a bad idea. All of our pewter is completely lead-free. Also, for the avoidance of doubt, like most metals pewter is NOT safe in microwave ovens (there is a risk of fire). We recommend drinking cold drinks only from our cups, because pewter conducts heat and burnt lips hurt. So why is pewter so great for tankards? Pewter is the traditional choice. It’s been used for tankards and steins since the middle ages. Even when pewter was replaced by porcelain for plates and most cups in the 18th century, people kept their tankards and there are many pubs in Europe where ‘regulars’ will have their own pewter tankard kept behind the bar. Pewter makes beautiful cups. Traditionally known as ‘poor man’s silver’, or ‘the white metal’, it can be finished in a variety of different ways and catches the light in a way that is matched only by real silver. And pewter doesn’t tarnish like silver does. Pewter is practical. Pewter is durable, safe with beer (see above), easy to clean, and (so long as you get modern lead-free pewter like ours) won’t tarnish over time. Why is pewter better than stainless steel? Yes, we know. You can find any number of stainless steel tankards online, and they cost is a lot less than pewter. So why use pewter? Well, you could use stainless steel. It’s tougher than pewter and, so long as the surface isn’t scratched, won’t corrode in beer. We don’t think it looks as good but that’s subjective. However, the performance of a stainless steel tankard depends on what’s known as the ‘passive surface’ remaining intact, and having access to oxygen (in the air). If stainless steel is scratched, perhaps during cleaning, then it will rust. If any residue remains stuck to a stainless steel tankard this will prevent oxygen getting to the passive layer and will cause pitting underneath. Crevices in the stainless steel, such as at a join, may corrode due to lack of oxygen. Pewter is different. Your pewter’s resistance to corrosion is not dependant on a thin surface layer in the same way as stainless steel, and scratches and dents accrued over years of enjoyment won’t cause your pewter to rust. Plus, as stated above pewter is safe, practical, attractive, and it’s the traditional choice. 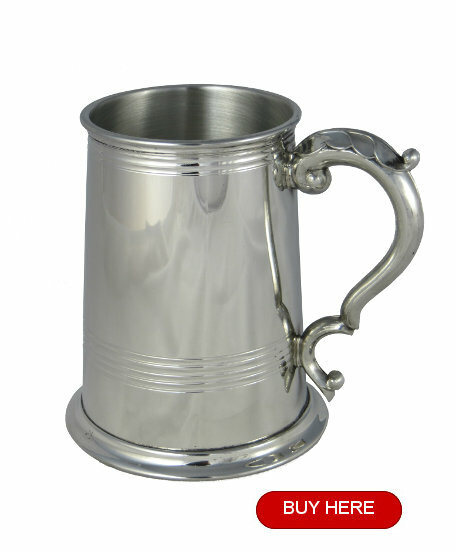 Why not find out how much fun your own pewter tankard can be? 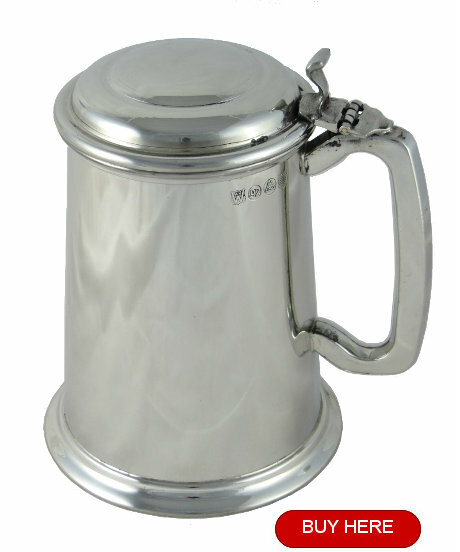 Where can I buy a modern pewter tankard? Right here in our store of course! We stock a small but growing range of pewter tankards and beer mugs, all of which are made using modern lead-free pewter, and all of which are handmade by very highly skilled craftsmen (and women). If you're not convinced, why not take a look at our gallery? Our company is focused on bringing you the best at a great price, so why not check us out and see what we have? What about caring for a pewter tankard? Is it hard to keep clean? No, it's not difficult at all! Take a look at our article, here.